Many a grandmother has warned her grandkids against eating “poisonous” apple seeds. Perhaps you’ve had the experience of accidentally swallowing a few and wondering if you’d soon fall to the floor, gasping for breath. Then there are those individuals who’ve been eating apples whole seeds and all for decades with no ill effects. Many did not even know there were supposed “ill effects” to speak of. Are there? This is the question of the day, and to answer it in a nutshell, or shall I say in an apple core, there’s little to be afraid of. Apple seeds contain amygdalin, a plant compound known as a cyanogenic glycoside. It’s part of the seeds’ chemical defenses, but when apple seeds are chewed or crushed and metabolized, the amygdalin turns into hydrogen cyanide. Hydrogen cyanide, in turn, is a poisonous substance that prevents your cells from using oxygen properly, leading to death within minutes at high-enough exposure levels. It’s perhaps most known for its use as a chemical warfare agent by the Germans during World War II, but it was also reportedly used during the Iran-Iraq War in the 1980s, also as a chemical weapon. 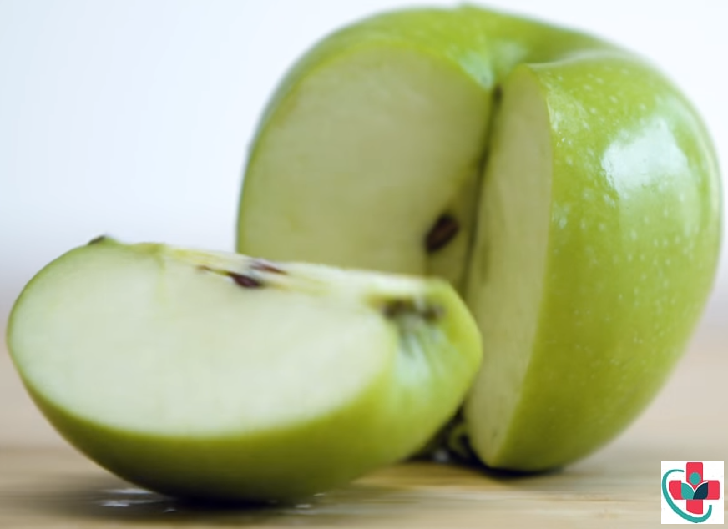 Apple seeds aren’t the only food to contain cyanide precursors. Amygdalin is also found in apricot, peach and cherry pits, for instance, and much more (over 2,5000 plant species in all). But consuming a few apple seeds is not the same thing as being exposed to straight hydrogen cyanide, and here’s why: apple seeds have a protective coating that’s resistant to digestion. If you’ve ever eaten whole apple seeds, you may have noticed that they pass through your body basically unharmed. The cyanide is only produced if the seeds are damaged (i.e., crushed or chewed), so swallowing a few seeds whole is likely to be of little consequence. It’s one of mother nature’s ingenious protections, as the seeds’ ability to produce cyanide when crushed discourages animals from chewing them, thus allowing for the whole undamaged seeds to return to the Earth and grow new apples. While consuming the number of apple seeds in one apple (the average apple contains 5 seeds, according to the Washington State Apple Commission is not cause for alarm, it is possible to be harmed by apple seeds if you crush them and consume a large enough quantity. Children and pets, due to their smaller size, may be at increased, though still infinitesimal, risk. As an aside, the same compound that makes apple seeds questionable — amygdalin — has been used to make the patented anti-cancer drug Laetrile. Cyanide is believed to be the active cancer-toxic ingredient in Laetrile, also known as Amigdalina B-17 or vitamin B17 (although there is very little evidence it warrants classification as a vitamin). Cassava is a tropical root plant used in Asia, Africa and South America because it’s plentiful and inexpensive. It has some notable nutritional benefits, as does tapioca, a digestive-resistant starch that’s extracted from this root. What cassava has to do with apple seeds is that they both contain cyanogenic glycosides, cassavas’ being a different type than that found in apples. Cassava roots contain the toxic compound linamarin, which converts to hydrogen cyanide. Improper cooking of cassava root is associated with cyanide poisoning, which can cause symptoms of vomiting, nausea, dizziness, stomach pains, headache, irreversible paralysis from a disease called konzo and even death. Cassava should not be eaten raw, however, if the cassava is peeled and cooked, toxic substances are removed. It should be noted that the tapioca you buy at the store or prepare from a package does not contain harmful cyanide levels, so it’s perfectly safe to eat. While the debate rages on over whether apples should be consumed whole—core, seeds and all — what’s not controversial is the importance of eating the peel, where much of apples’ antioxidant power is contained. Apple peels also contain ursolic acid, which may help prevent age-related and illness-related muscle wasting. Brain Health: Apples have been found to protect neuron cells against oxidative stress-induced neurotoxicity and may play an important role in reducing the risk of neurodegenerative disorders, such as Alzheimer’s disease. Stroke: Eating apples is linked to a decreased risk of stroke. Lessen absorption of glucose from your digestive tract. Stimulate beta cells in your pancreas to secrete insulin. Increase uptake of glucose from your blood by stimulating insulin receptors. Cancer: Apples have a number of properties that may help reduce the risk of cancer, including antimutagenic activity, antioxidant activity, anti-inflammatory mechanisms, antiproliferative and apoptosis-inducing activity, as well as novel mechanisms of epigenetic events and innate immunity. Heart Disease: Eating apples is associated with a lower risk of death from heart disease, an association that’s thought to be related to their content of antioxidant flavonoids. Apples contain a wealth of nutrients and antioxidants, including quercetin, which is known to fight cancer and prevent histamine release, the latter of which may be helpful against allergy symptoms. Interestingly, children born to women who eat apples during pregnancy are also less likely to have asthma at age 5. Apple consumption has also been associated with a decreased risk of coronary heart disease and a reduced risk of Type II diabetes was associated with apple and berry consumption in another major Finnish study. In the laboratory, apples and the compounds in them have properties that may explain their effects in protecting against disease. Despite their healthy attributes, apples are a relatively high-fructose fruit, with 9.5 grams in a medium-sized apple. They should, therefore, be consumed in moderation. In addition, apple juice will contain considerably more, which is why you’re far better off eating apples in their whole — not juiced — form. As for consuming the seeds, as mentioned, the amount contained in your average apple is virtually harmless.